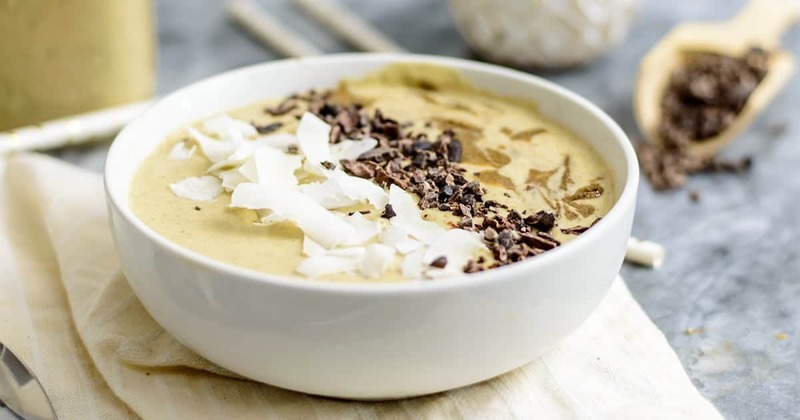 You are going to love this low carb peanut butter protein smoothie! 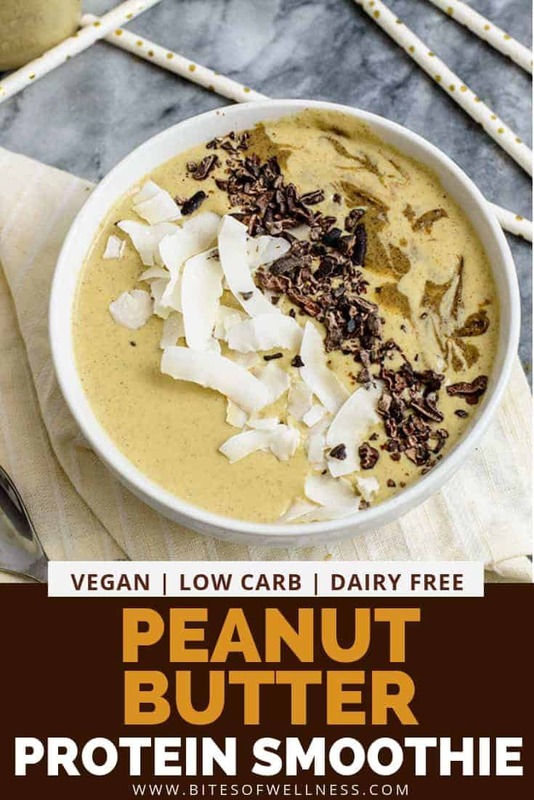 It’s the perfect way to indulge in your peanut butter cookie cravings while getting in some protein and hidden veggies! 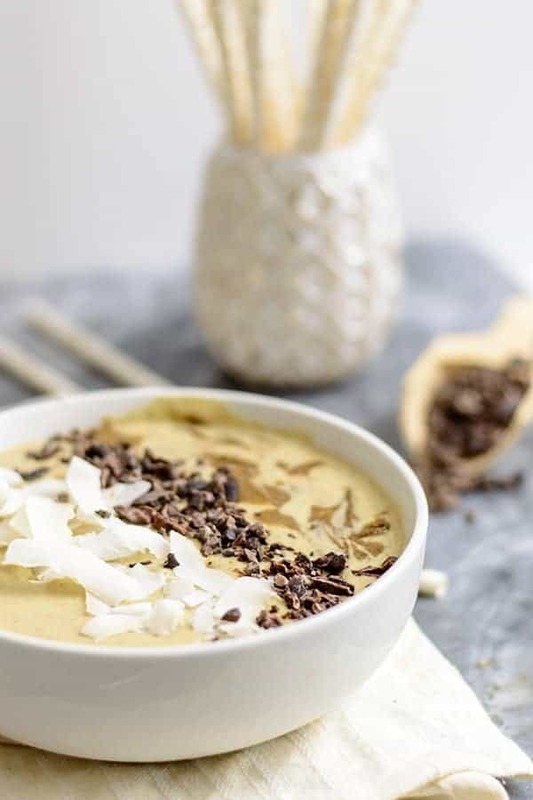 Yup this peanut butter protein smoothie is packed with protein, it’s vegan, dairy free, gluten free and grain free! Perfect for post workout recovery or breakfast! I think I could have a smoothie everyday and never get tired of them! Smoothies are such an easy way to get in good quality nutrition and usually taste like my favorite sweet treats so I really can’t complain! 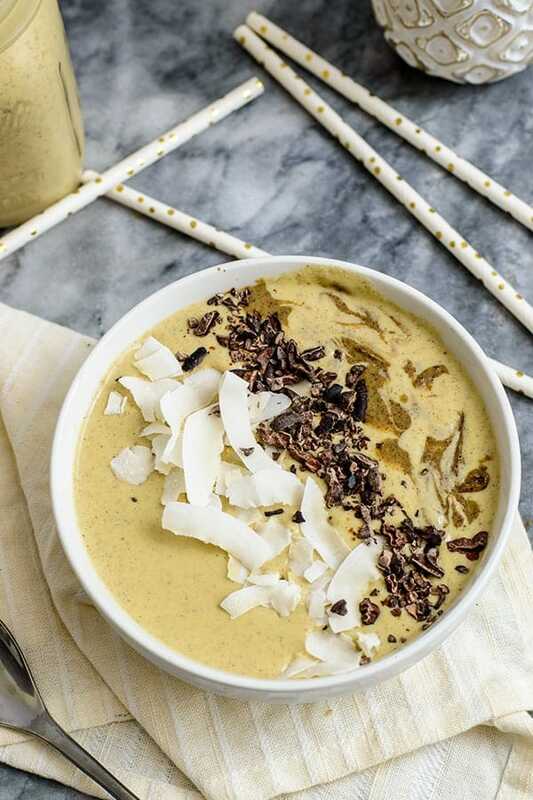 Take this peanut butter protein smoothie, it tastes like a frozen peanut butter cookie. It’s perfect for those low carb days when you really want something sweet but have to keep your carbs in check! 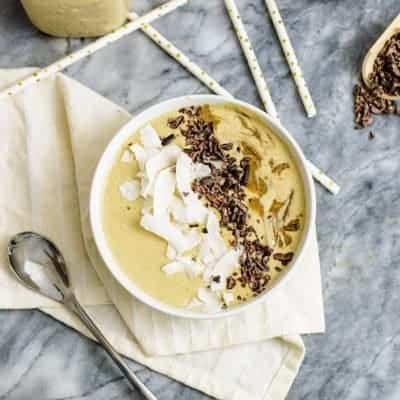 Whether you are on a low carb diet or practice carb cycling, you are going to love having this peanut butter protein smoothie in your arsenal of go-to recipes for those low carb days! Even if you are not practicing a low carb lifestyle this smoothie is the perfect way to start your day! Full of nutrition and filling, the protein and fiber will help you feel full without crashing quickly afterwards. This can help stabilize your blood sugar as well as your mood! Smoothies are great for digestion as well! 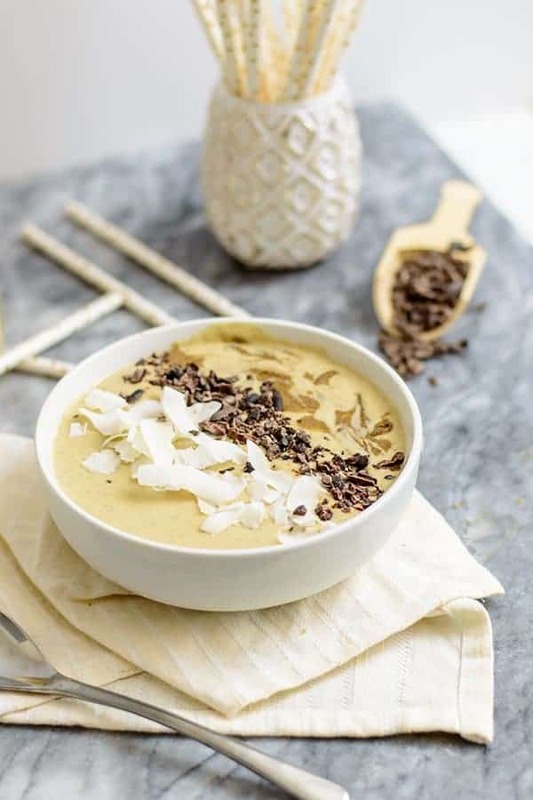 Did you know that if you are dealing with digestive issues, eating smoothies slowly can be great for your gut and a great way for you to absorb more of the nutrition from your meal! Be ware though, some people with stomach issues do not do well with cold food, so listen to your body! I use riced cauliflower that I buy already frozen. If you are making your own riced cauliflower, you will want to steam it before you freeze it! If you don’t love cauliflower (or it doesn’t love you) you can also used frozen zucchini, although it will change the color slightly! The way I get the most peanut butter flavor out of this smoothie is with peanut powder (or peanut flour). Some of my favorite brands are Crazy Richards Peanut Powder (affiliate) and Protein Plus Peanut Flour. You can also find Jif Peanut Powder in your local grocery stores as well in the peanut butter section! I like these brands because there is no added sugar in them, just one ingredient, peanuts! If you love starting your day with a smoothie, you should try this blueberry smoothie or this mango ginger turmeric recovery smoothie for after your workouts! I’ve never had a smoothie in a bowl, I loved it! I had never seen cauliflower added to a shake before. Very interesting. It looks satisfying and delicious. Donna it is such a great way to get in more veggies! It has almost no flavor!